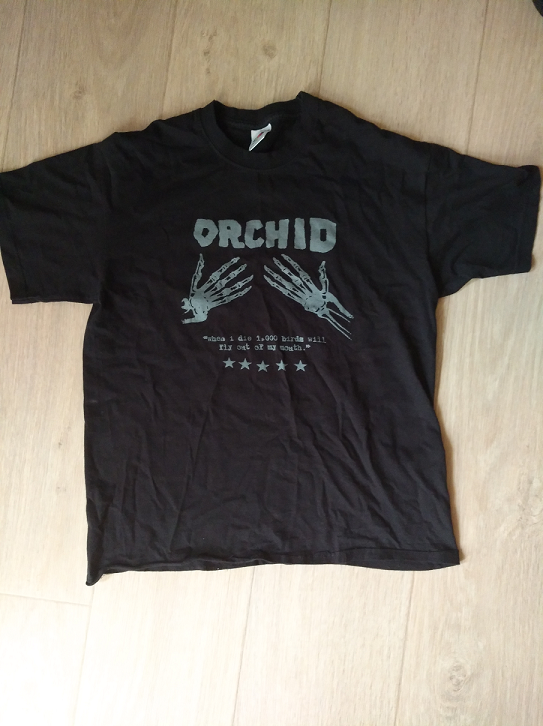 Is anyone interested in this Orchid shirt? Shirt is a size small. Print is in very good condition, shirt itself is in good condition, except it has some damage (couple of small holes) at the bottom. I'll ship it worldwide, but keep in mind I'm located in Europe, so shipping costs to the US will be higher.